Downpipe slot vessel sampler by SIEBTECHNIK TEMA. 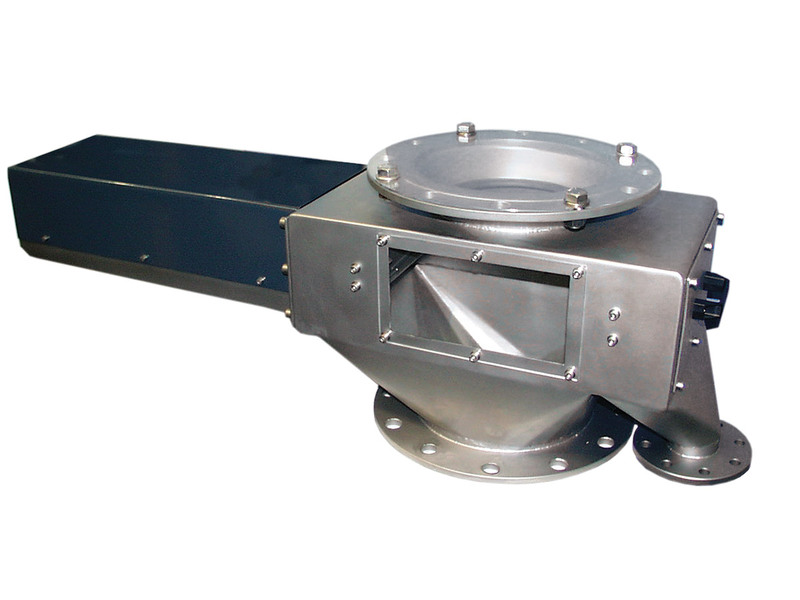 Representative sampling is carried out by a slotted vessel that is guided by a pneumatic linear drive via a rod at constant speed through the complete chute cross-section. The multiple sealing of the rod bushing and the enclosure of the drive mean that the drive is not directly exposed to the product and thus remains practically free of wear. The passage speed of the spoon can be adapted to individual requirements by adjustable valves on the drive. After the passage of the spoon, the sampling spoon is turned through the product flow via the sample discharge chute and thus emptied. The rotary movement is initiated mechanically by means of adjustable stops and therefore does not require any further drive. Positioning the spoon in the filling position that occurs outside the product flow is only carried out after again crossing the product flow in the opposite direction. In this waiting position, the sampler is not exposed to the product flow and is thus not subjected to any wear.